This entry was posted in Uncategorized and tagged CQL, Data, Disability Policy for All, HCBS, New Rule, Toolkit, Tuesday's with Liz. Tuesdays with Liz: Disability Policy for All interviews Sharon Lewis (Principal Deputy Administrator of the Administration for Community Living) on the HCBS setting rule, as well as her daughter, Zoe Lewis on her experience of starting her freshman year of college. This entry was posted in Uncategorized and tagged Administration for Community Living, Deputy Administrator, Disability Policy for All, HCBS, New Rule, Sharon Lewis, Toolkit, Tuesday's with Liz, Zoe Lewis. “Imagine living in a home where you didn’t choose who lived with you. You don’t even have your own key; you have to wait for someone to let you in. You can’t choose what you eat, watch on TV or when you go to bed. You can’t have visitors when you want, and some people aren’t allowed to visit you. Read more on the Journal Sentinel website. 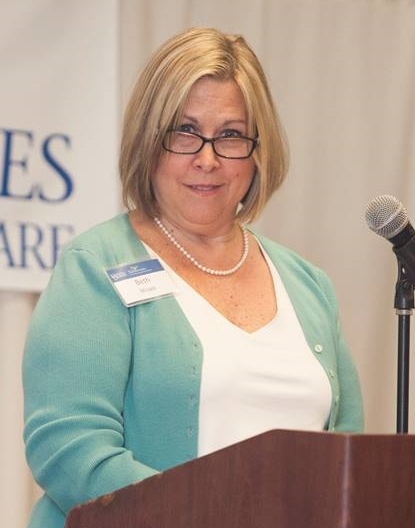 Center for Disabilities Studies Director Beth Mineo brought clarity to complex federal Medicaid rule in an interview on News Raio 1410 WDOV and 1450 WILM in Delaware – “The rule will increase community living and employment opportunities for people with disabilities”. Listen to the audio of Dr. Mineo’s interview. More than a hundred people gathered at the Embassy Suites in Newark Monday morning to discuss a new federal rule that could dramatically change options in housing, employment and other basics for people with disabilities.